Photo taken at the presentation ceremony of the SENG PhD Research Excellence Award 2017-18. Dr. Hao WANG (middle) received the award from Dean of Engineering, Prof Tim CHENG (right) and Acting Head of CSE, Prof Dit-Yan YEUNG (left). 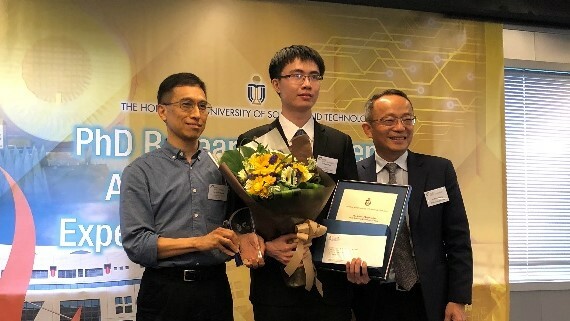 Dr. Hao WANG, recent PhD graduate from CSE supervised by Prof. Dit-Yan YEUNG, was awarded the SENG PhD Research Excellence Award 2017-18 with his outstanding research achievements during his studies at HKUST. Dr. Wang's research at HKUST focuses on Bayesian deep learning (BDL) and statistical machine learning. In particular, his work on BDL seeks to bridge gap between perception and inference by combining the power of deep learning and graphical models in a single principled framework. In terms of applications, Hao works on recommender systems, social network analysis, and text mining. 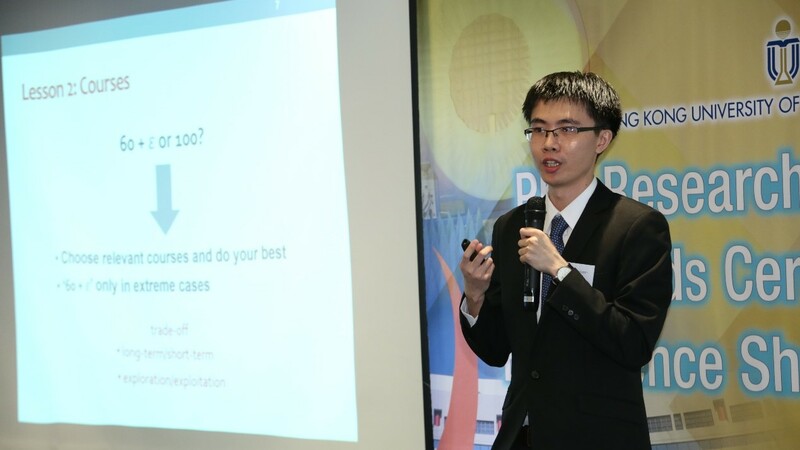 For his research on BDL and statistical machine learning, he was previously awarded the Microsoft Fellowship in Asia in 2015 (with only 13 awardees across Asia) and the Baidu Research Fellowship (along with candidates from top universities across the world). Dr. Wang's research work on Bayesian deep learning (BDL). His work on collaborative deep learning (CDL) for recommender systems is the first hierarchical Bayesian model for deep hybrid recommender systems. The work received over 240 citations, and was one of the most cited papers in ACM Conference on Knowledge Discovery and Data Mining 2015 (KDD 2015). Dr. Wang is currently a Postdoctoral Research Associate at the Computer Science & Artificial Intelligence Lab (CSAIL) of MIT in the US. As the winner of the award, he shared his research life and lessons learned during his PhD years in the award ceremony. The School of Engineering established the PhD Research Excellence Award scheme as recognition of outstanding achievements by PhD students or graduates. The Research Awards will be granted to PhD students/graduates who have made the most original and influential research achievements to knowledge in the discipline. The award to be recognized should arise from the work that was carried out mainly at HKUST. This year, one winner and two finalists were recognized in the ceremony. For more information, please refer to the press release by SENG. Photo taken at the presentation ceremony of the SENG PhD Research Excellence Award 2017-18. Dr. Hao Wang shared his research life and lessons learned during his PhD years.